The flashing solution for pipes through slate and tile roofs. The Seldek aluminium won't stain or corrode roofs and gutters. 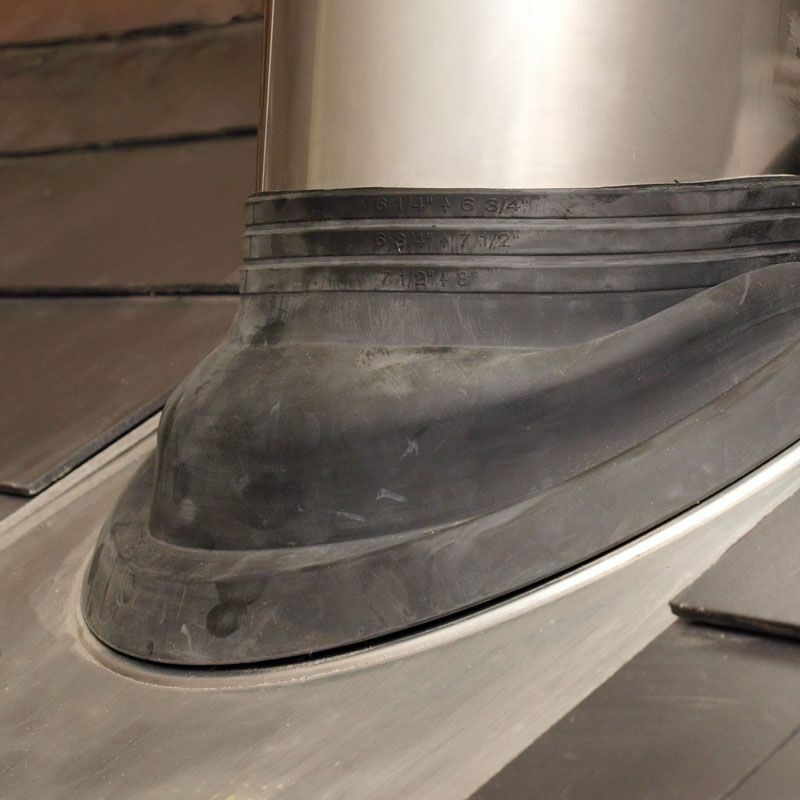 The EPDM cone, which is trimmed on site to fit, is ingeniously locked to a high grade and malleable 99.9% pure aluminium base. 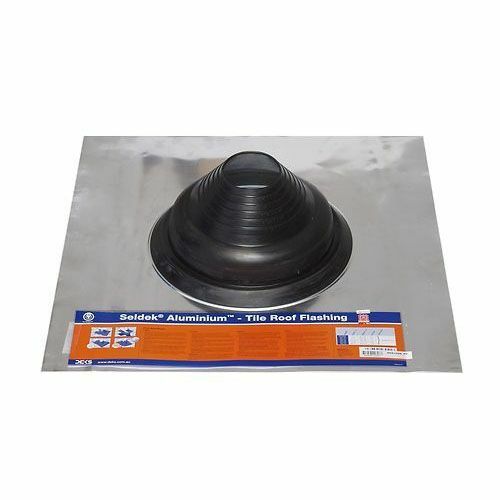 Suitable for a roof pitch between 0 and 45 degrees. Base size : 500mm x 600mm. 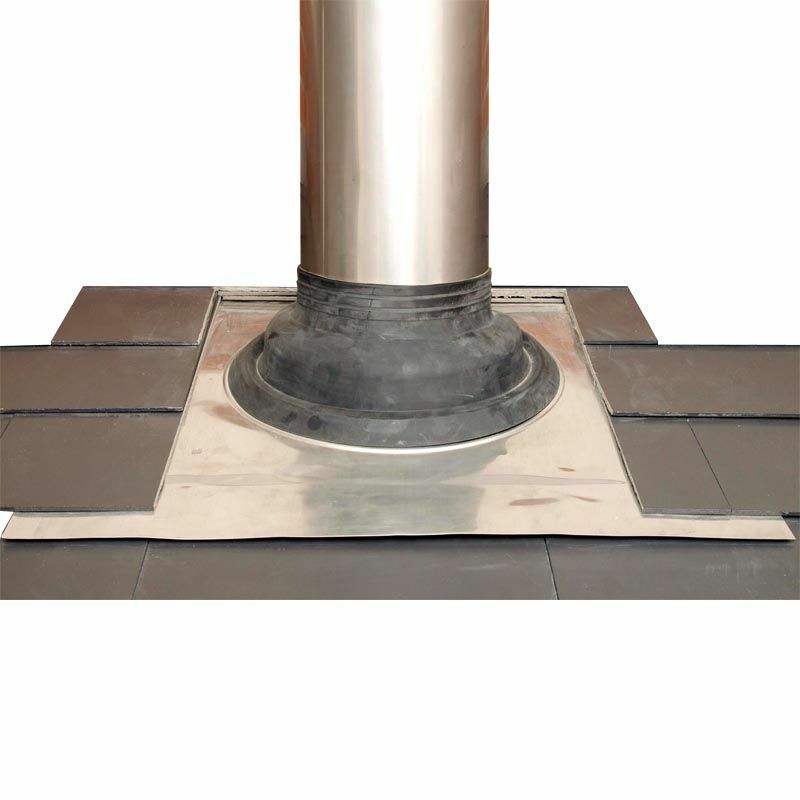 Black and Grey EPDM flashings are used with standard pipes where heat is not an issue. Can be used with pipes up to 115°C constant and 150°C intermittent.